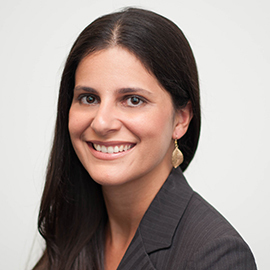 Luciana Zamith Fischer is a Partner in HTFL’s Miami, Florida office, where she manages the Firm’s Business Immigration practice group. She brings to our firm extensive experience with immigration law, which enables her to create unique and innovative strategies to accomplish the goals of our clients. Ms. Fischer's unique expertise with EB-5 Investments includes the creation and management of Regional Centers centered on specific job-creating projects. Among her achievements is the successful approval of BirchLEAF Miami 31, LLC, one of the first truly successful regional centers in South Florida, which financed $20 Million in the construction of the University of Miami Life Science and Technology Park through the EB-5 Program. Her complex expertise with EB-5 Investments also informs her successful representation of international investors seeking lawful permanent residence in the United States through the EB-5 Program. In addition to her EB-5 practice, Ms. Fischer represents internationally recognized individuals pursuing lawful permanent residence in the United States as Individuals of Extraordinary Ability (EB-1) in business, science, arts, education or athletics; as well as exceptionally talented individuals who will serve the National Interest of the United States (NIW EB-2s). Her experience includes representing leading experts in their respective fields, as self-petitioners for lawful permanent residence in the United States. This expertise was particularly innovative during the period when financial institutions were restricted from filing employment-based petitions due to acceptance of TARP funds. Ms. Fischer's clients include global companies, small and large, and Fortune 100 companies. She is responsible for advising clients in all aspects of employment-based immigrant and nonimmigrant visas. Representation includes ascertaining the employment eligibility of foreign nationals, working with corporate clients on all aspects of employment-based immigrant and nonimmigrant visas, and advising clients on I-9 compliance (assisting clients to document I-9 files, and advising clients when employees must be taken off payroll). Ms. Fischer has extensive experience with PERM (Labor Certification) applications and a wide variety of nonimmigrant petitions, including petitions for H-1B Professionals, E-2 Treaty Investors, L-1A Executives and Managers, Canadians and Mexicans entering under the North American Free Trade Agreement (TN visas), and Individuals with extraordinary ability in the arts, sciences, business, athletics, movies, or television (O). She is a United States citizen, born and raised in Brazil. This background affords her practice the great benefit of her Latin culture and language skills. Ms. Fischer is fluent in Portuguese and Spanish. Her singular ability to relate to clients' concerns and expectations has made her exceptionally successful in her practice of immigration law. Ms. Fischer is a member of the Florida Bar and the American Immigration Lawyers Association. She graduated with honors from the University of Florida, where she received her Bachelor's Degree in Political Science and Economics. She is also a graduate of the University of Minnesota Law School, where she was an editor for the Minnesota Journal of International Law.